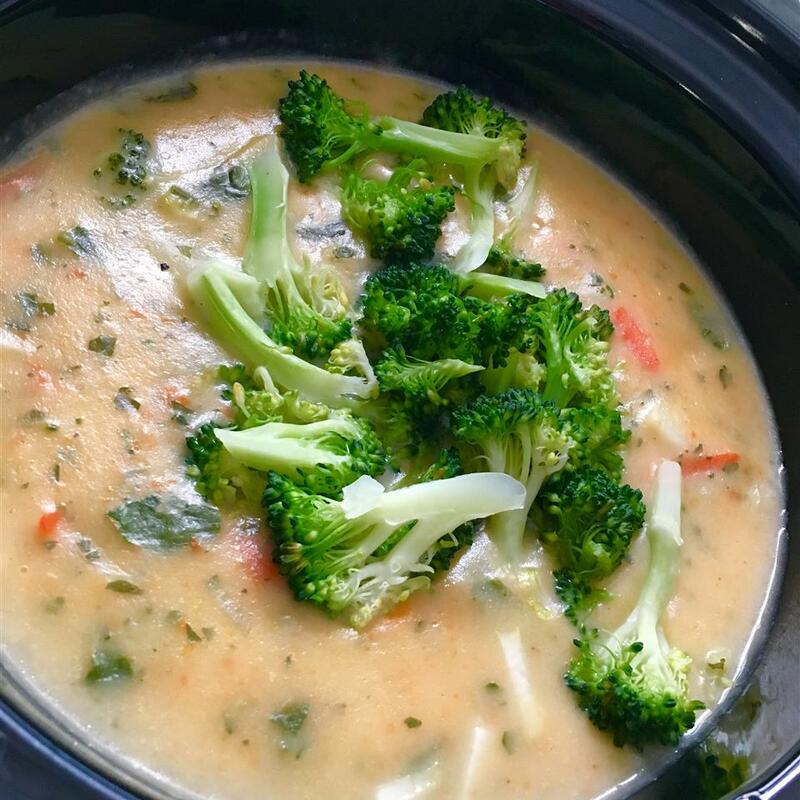 My husband loves Panera(R) broccoli cheddar soup but it went up in price and therefore we set out on a hunt to create the perfect broccoli cheddar soup. Here is what we came up with. 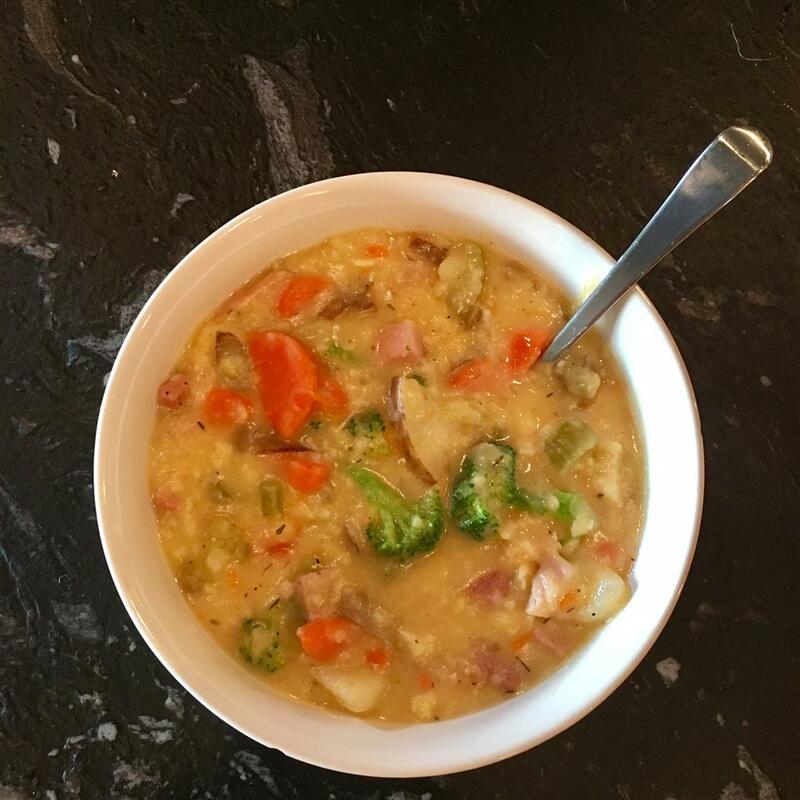 There are tons of variations and options to make this soup your own. 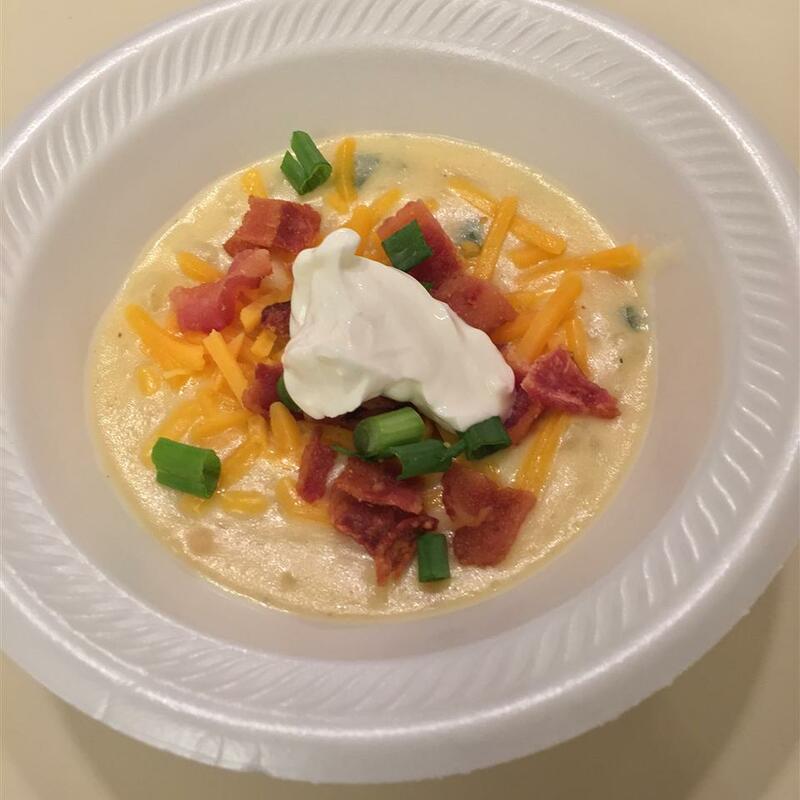 You can add extra veggies, different cheeses, garlic to your onions, a little nutmeg to the finished soup, green onions, sour cream, etc. The list goes on and on. Make it your own! 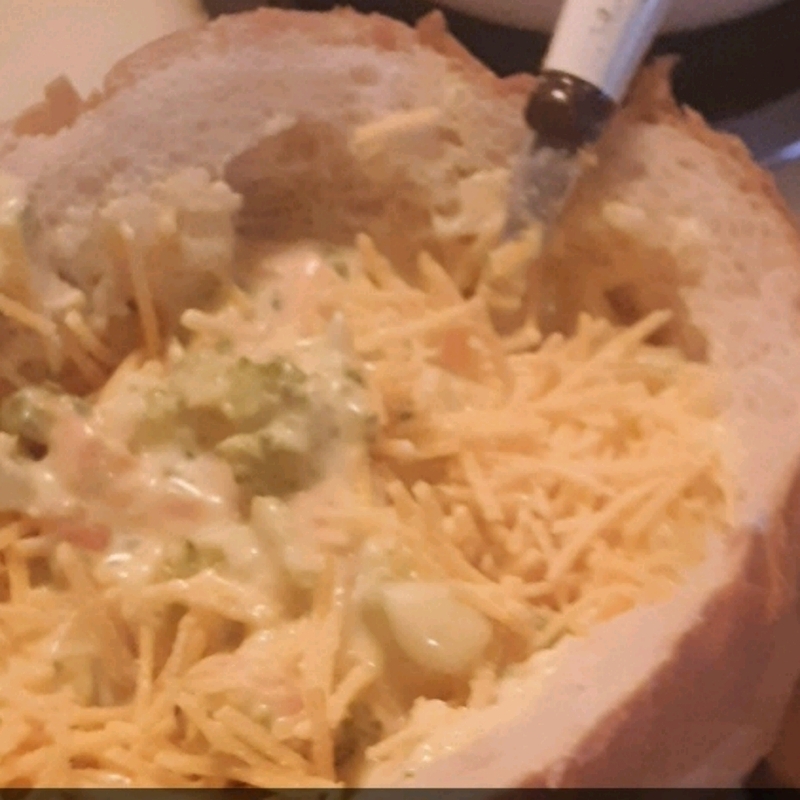 Serve topped with cheese! 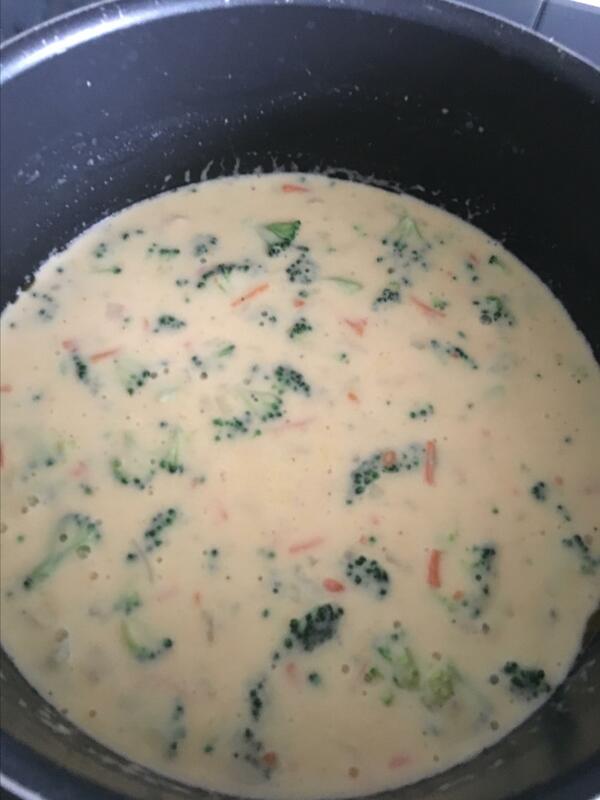 Whisk 1/4 cup melted butter and flour together in a large saucepan over medium-low heat; cook until flour loses it's granular texture, adding 1 to 2 tablespoons of milk if necessary to keep the flour from burning, 3 to 4 minutes. Gradually pour milk into flour mixture while whisking constantly. Stir chicken stock into milk mixture. Bring to a simmer; cook until flour taste is gone and mixture is thickened, about 20 minutes. 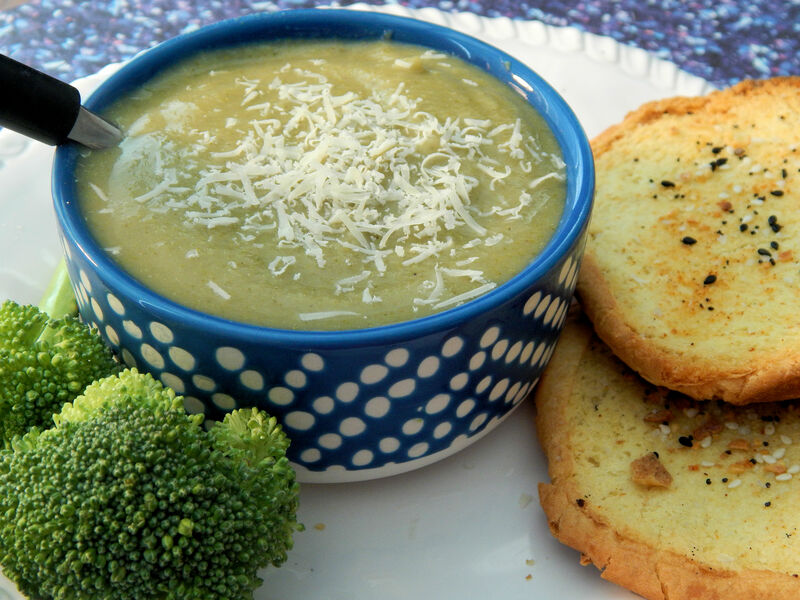 Add broccoli, carrots, sauteed onion, and celery; simmer until vegetables are tender, about 20 minutes. 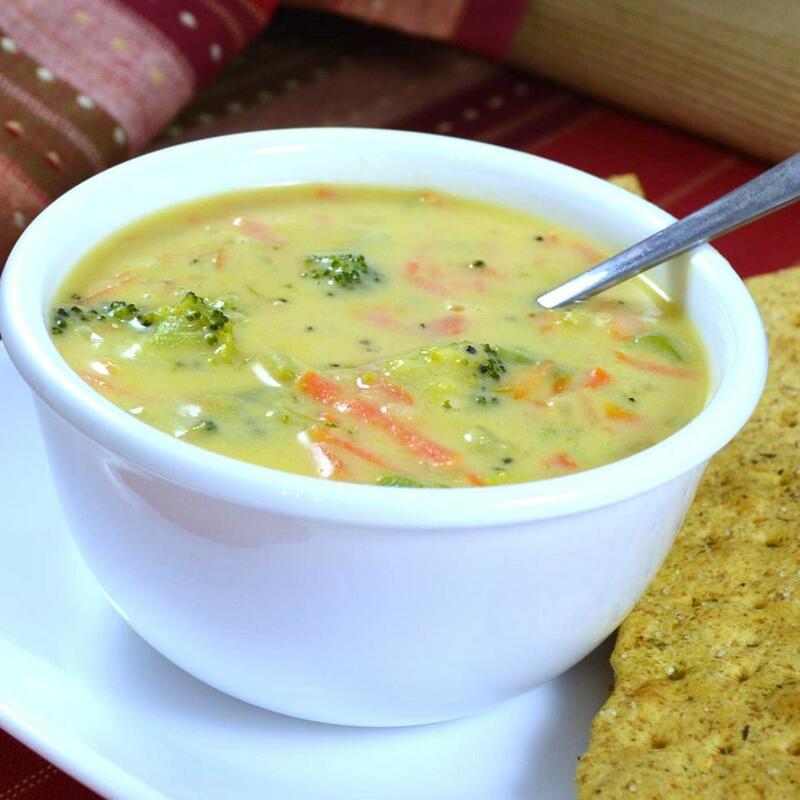 Stir Cheddar cheese into vegetable mixture until cheese melts. Season with salt and pepper to taste. I use 2% milk but you can use any, including half and half. 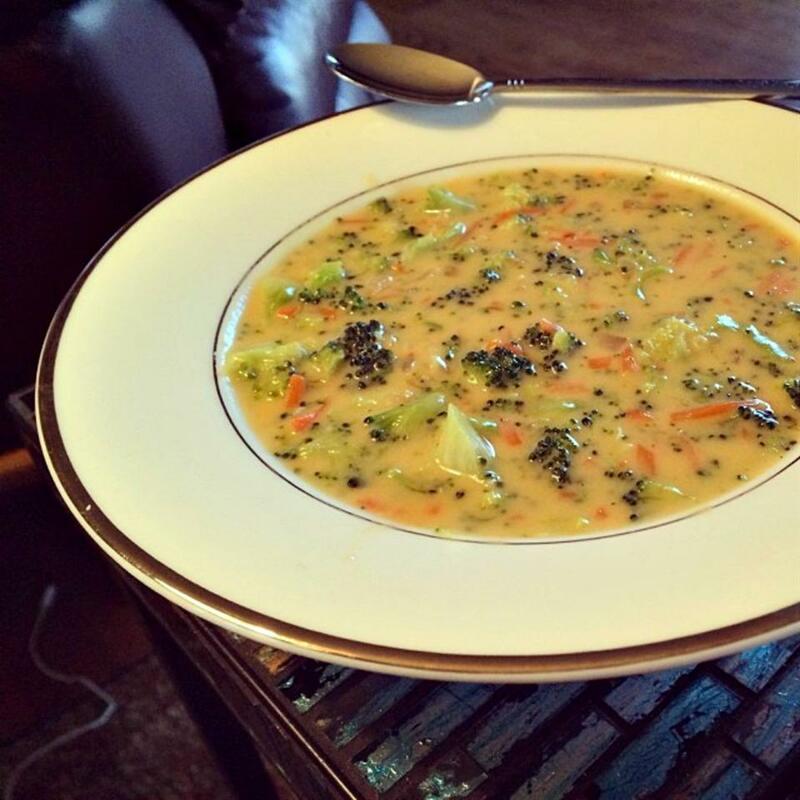 I made this soup and my husband (who is not a really big soup fan) could not get enough of it. Only difference I made to the recipe was using 1 cup milk and 1 cup cream (since I had it on hand) rather than 2 cups 2%. Also I didn&apos;t have the full amount of cheddar so I threw in maybe 1/3 cup slab of veleeta to make up the difference. But I almost never have velveeta and would recommend sticking with the cheddar just out of principle&apos;s sake. 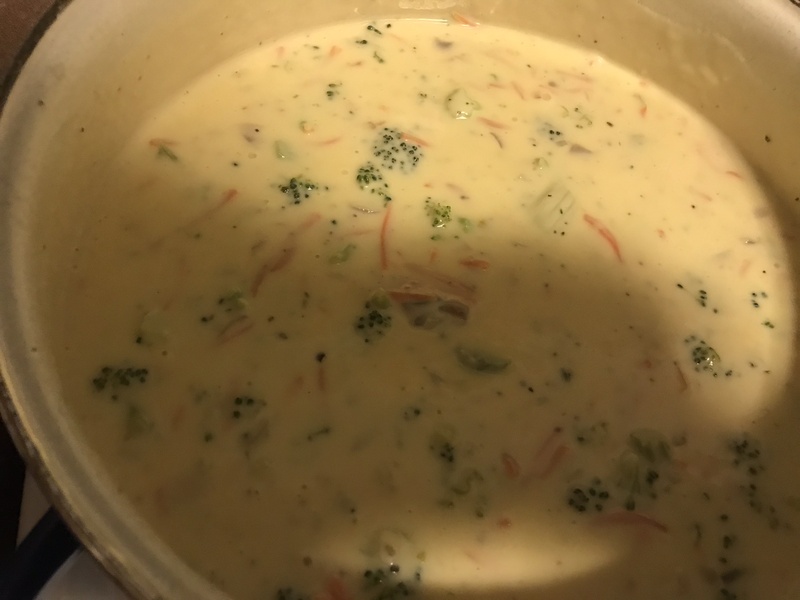 I used the stock to make the flour thickener rather than the milk/cream (just a preference). Then I added the milk and cream at the end with the cheese. 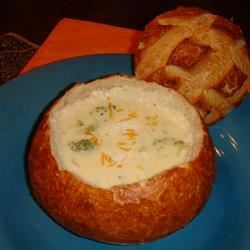 It was definitely a delicious and thick soup just like Panera&apos;s. Yum! Thanks a bunch gildawen! 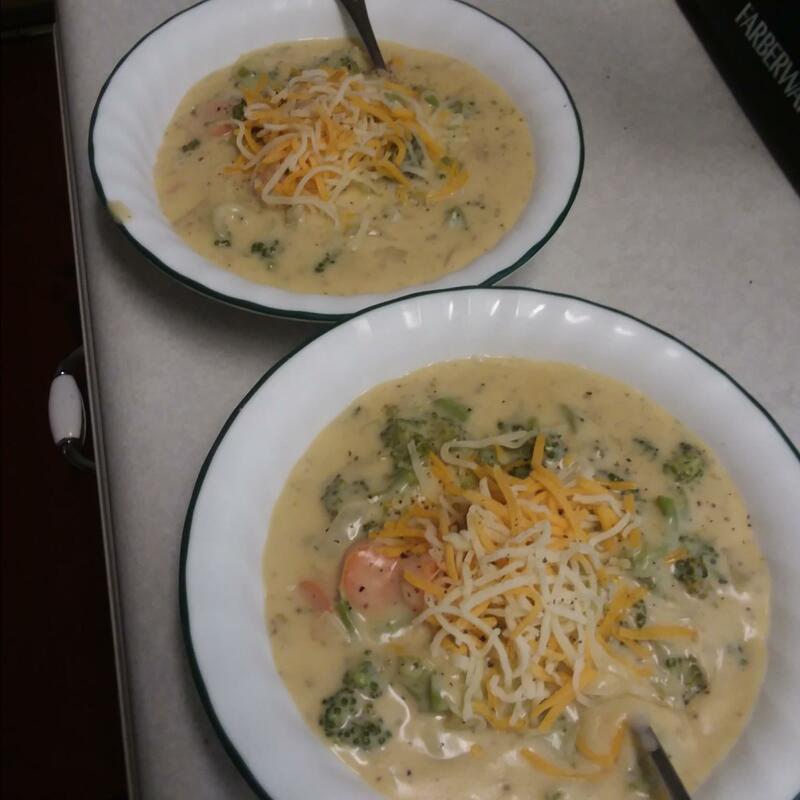 Both times I made it after adding the cheese within 2 minutes it curdled and was for the second time just nasty. not gonna try this one again. 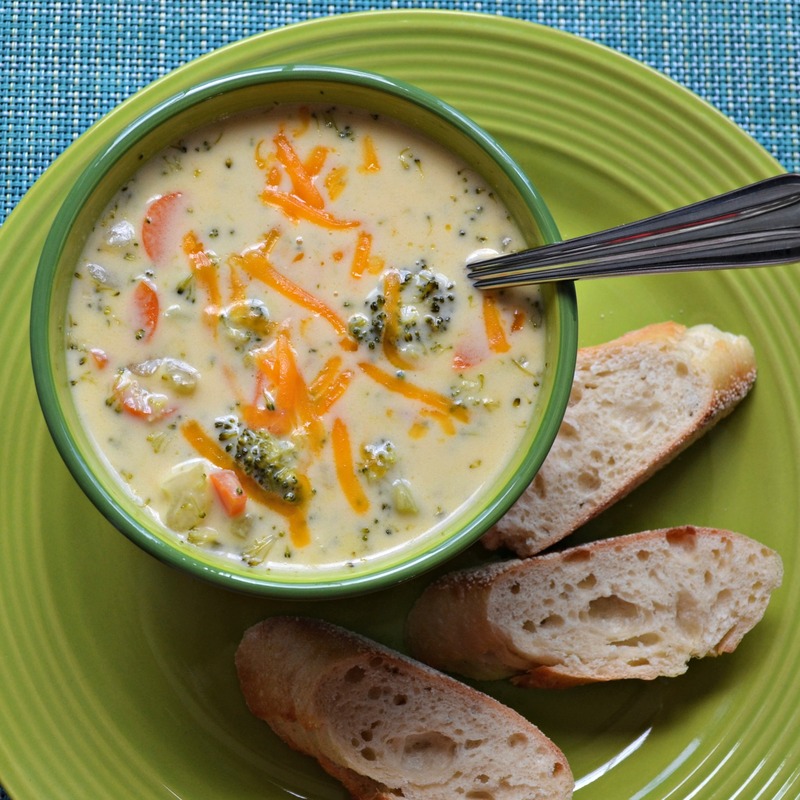 This has the potential to be a really great broccoli cheese soup. As is it s just o.k. 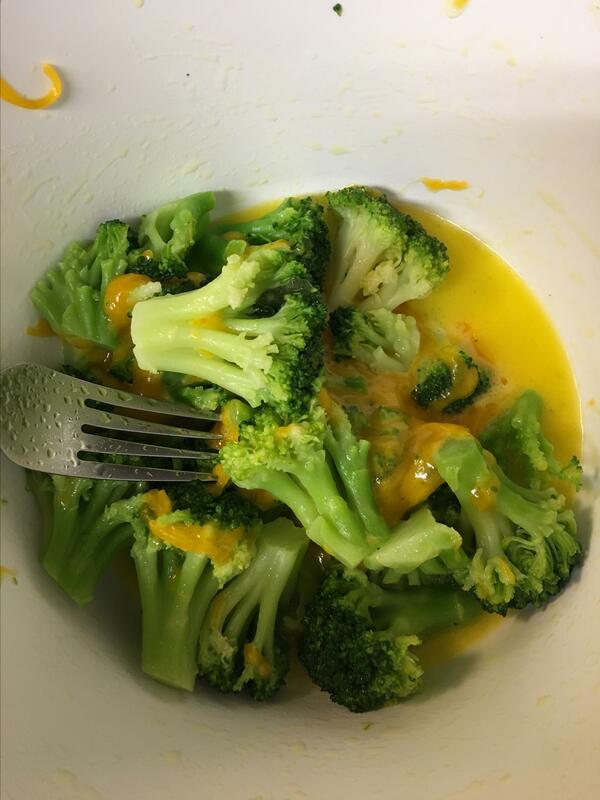 To me it tasted like broccoli with cheese sauce. It was bland and seemed to be lacking something. I m thinking it s the cooking process. It seems backwards. 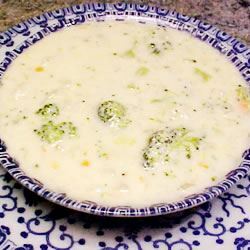 Typically milk products are added last because simmering can cause curdling especially if simmered for a long period of time. It works out o.k. 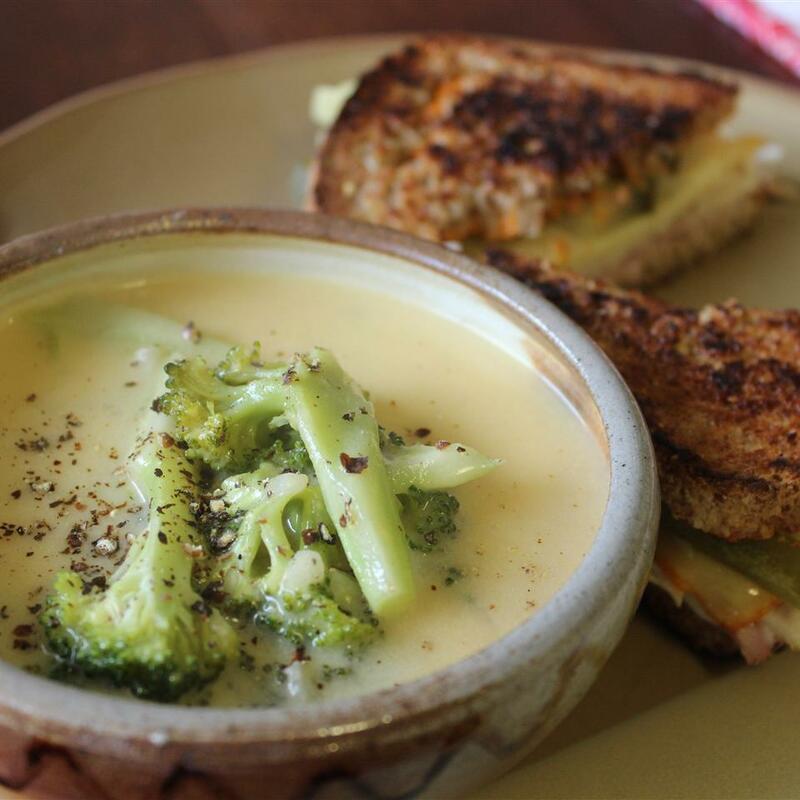 for this recipe because it s so thick from the cheese that you don t really notice. What I found odd was that half of the cooking time is dedicated to just simmering the milk with plain stock absent of any vegetables or seasonings of any kind. It s only in the latter stage when you add the vegetables and those are only cooked just long enough until tender. 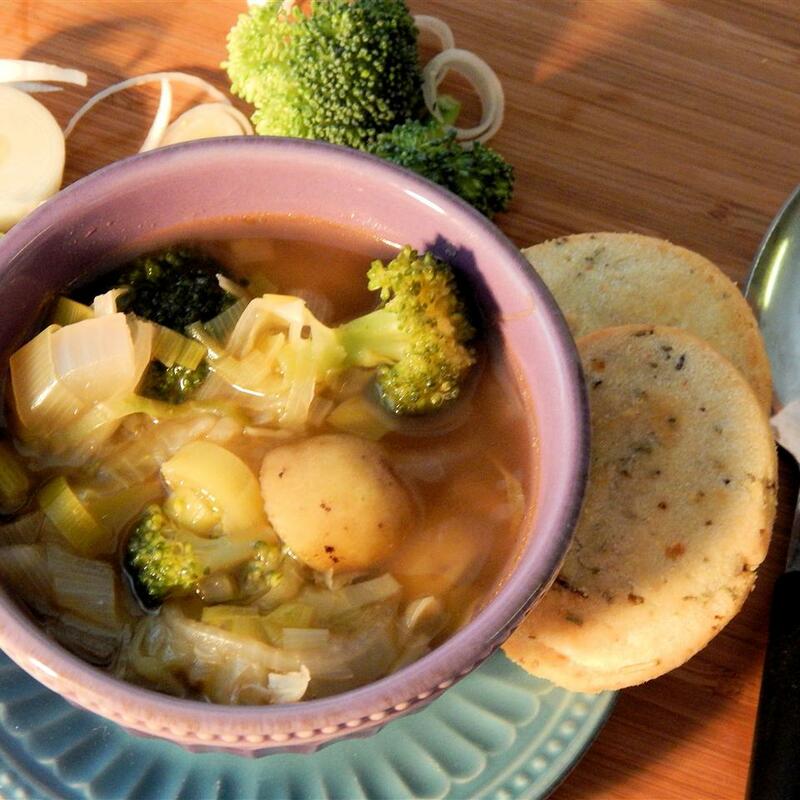 Onions celery and carrots are essential when it comes to adding flavor to any soup broth and it takes time to develop that flavor. I would suggest adding those 3 ingredients to the chicken broth at the beginning so they have more cook time. The other change I would make is when to add the milk. I would start by adding the broth to the flour first and then the milk but that s just me. Three stars because it actually tasted good but the whole cooking process was just strange. In all my years of cooking I have never seen instructions like that. All you really gotta do is brown your butter add the other veggies along with the broth simmer til the vegetables are done. Then add your thickener - in this case flour and melted butter. Then you add the milk and the cheese. It turned out great this way and only took me and my daughter about a half hour to make it. Simmering the already thickened broth/milk for 20 minutes? Then adding the vegetables and cooking them for another 20 minutes? Seems to me that the recipe instructions are actually written in reverse! I hate to leave a 2-star unfavorable review. However to be fair to those who want to try this in the future I want to give my opinion: it was bland and utterly tasteless. 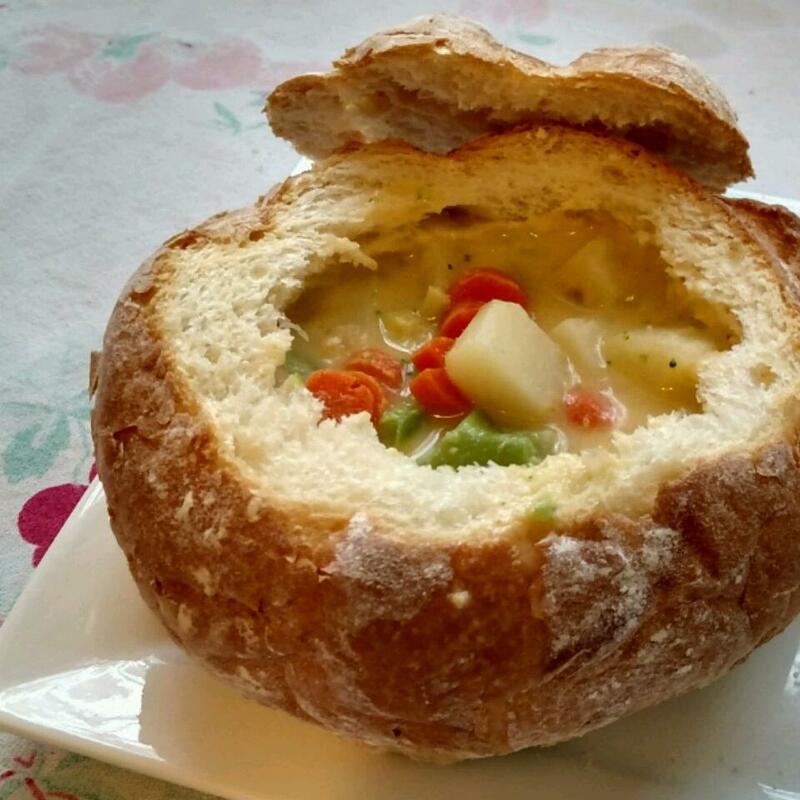 I was so disappointed that I didn&apos;t care how close it was to Panera&apos;s recipe -- I just wanted flavor! 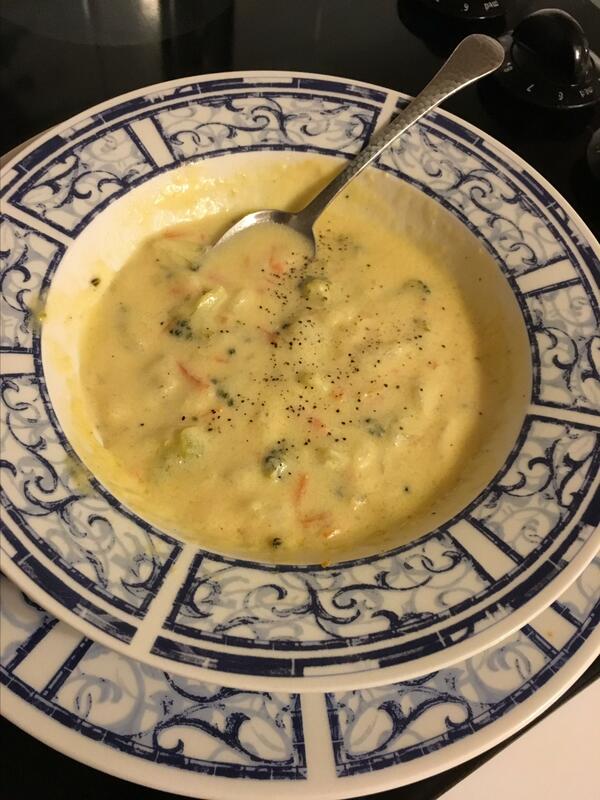 I ended up adding a tablespoon of garlic powder and 2 tablespoons of powdered chicken broth base (2 chicken bouillon cubes would work too) and this did the trick! 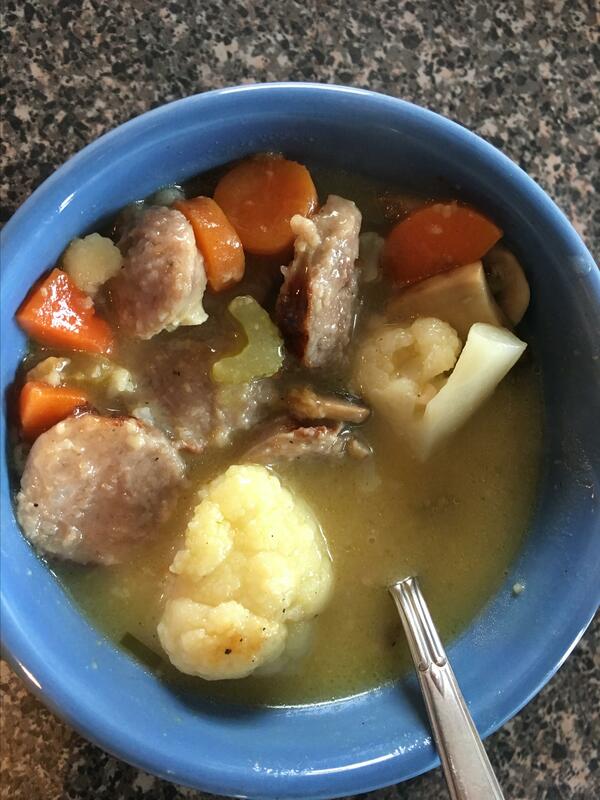 We ended up with a very tasty soup for dinner and I will make this regularly throughout the winter WITH my additions. Good luck! 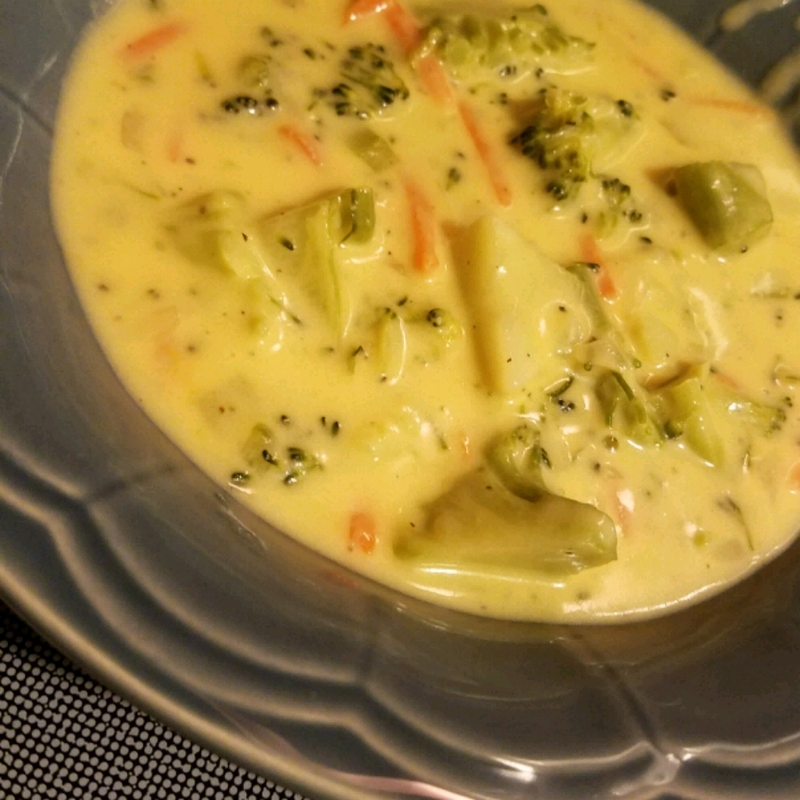 The family loved this soup. The only changes I made was to thin the roux with chicken broth instead of milk and added the broth instead of milk. Then I added all the veggies and simmered it then added the milk at the end. 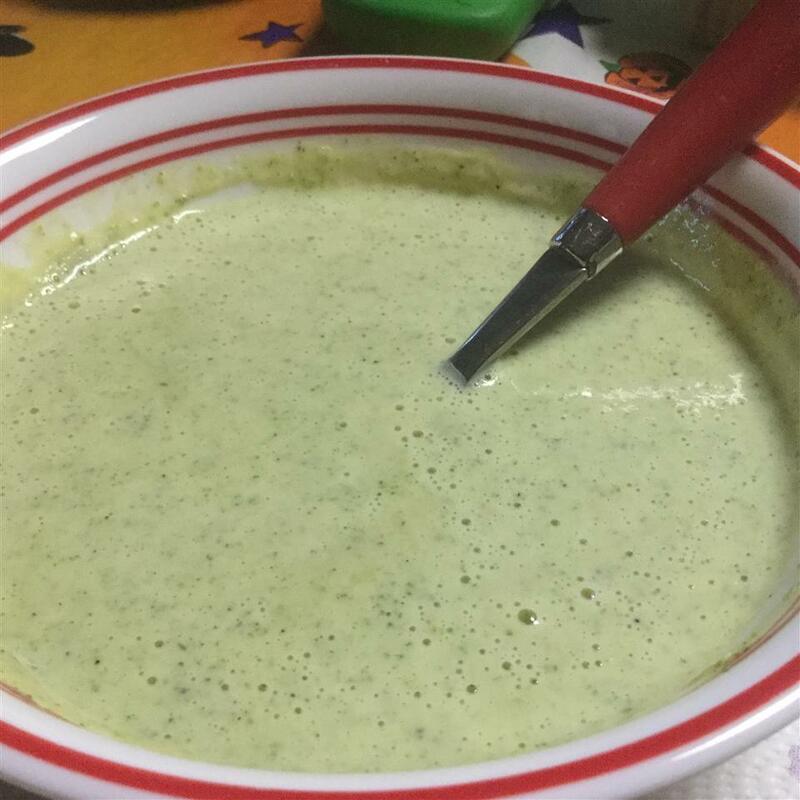 Wonderful soup! 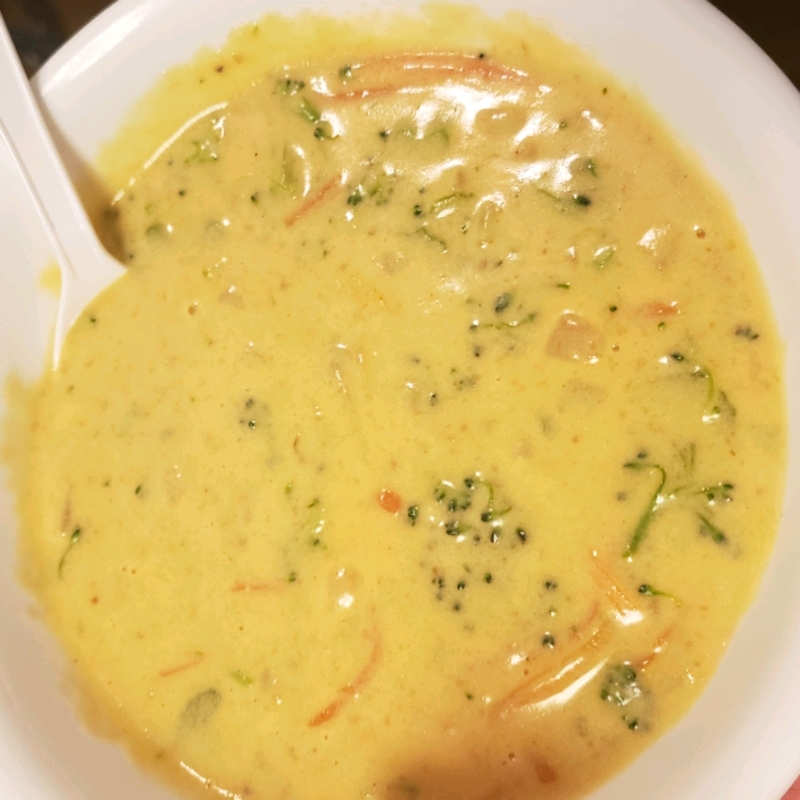 I&apos;ve made this soup before using a different recipe couldn&apos;t find the old recipe so I decided to give this a try. I used the exact measurements and ingredients listed except celery the only other difference I made was instead of simmering the milk/flour/butter to thicken I used chicken broth as the liquid let it simmer a little (around 7 minutes) added all my veggies and 1/2 cup of water (my burners are too strong and I feared all the liquid evaporating and becoming a pudding instead of a soup) and let it simmer until veggies were tender. Last step I added milk cheese and served. WOW. 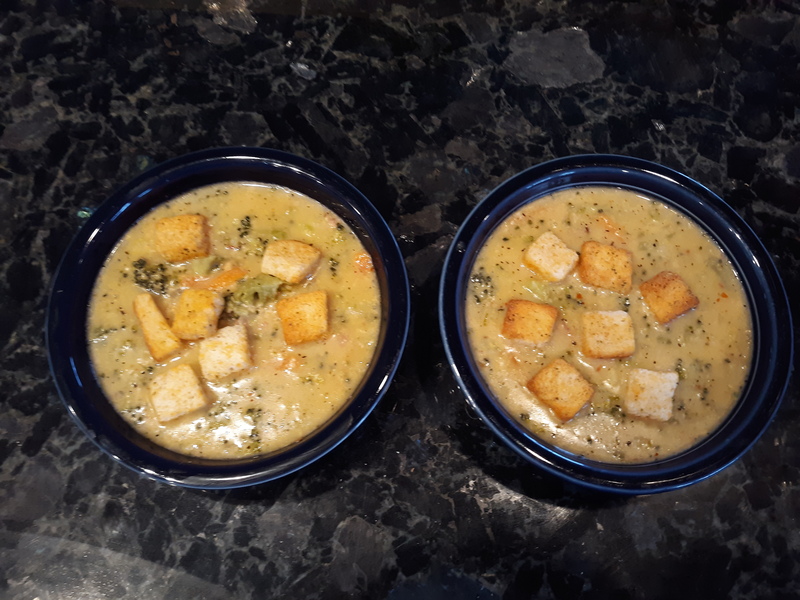 BIG HIT with me and my husband who doesn&apos;t like soup. The flavor was all there just be careful with adding salt as most chicken stocks already have sodium and cheese adds a lot. 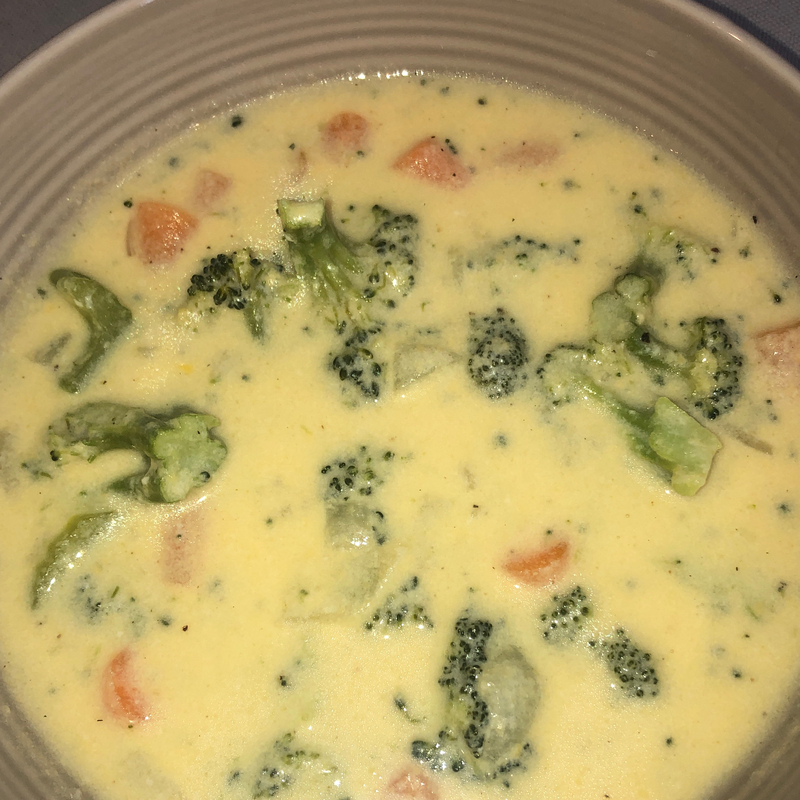 I had been craving broccoli cheddar soup and went with this one since it looked easy and had great reviews. I left out the carrots and salt by choice and added 3 chicken bouillon cubes. We all enjoyed it very much and I shall make it again. This was good but it didn&apos;t knock my socks off. 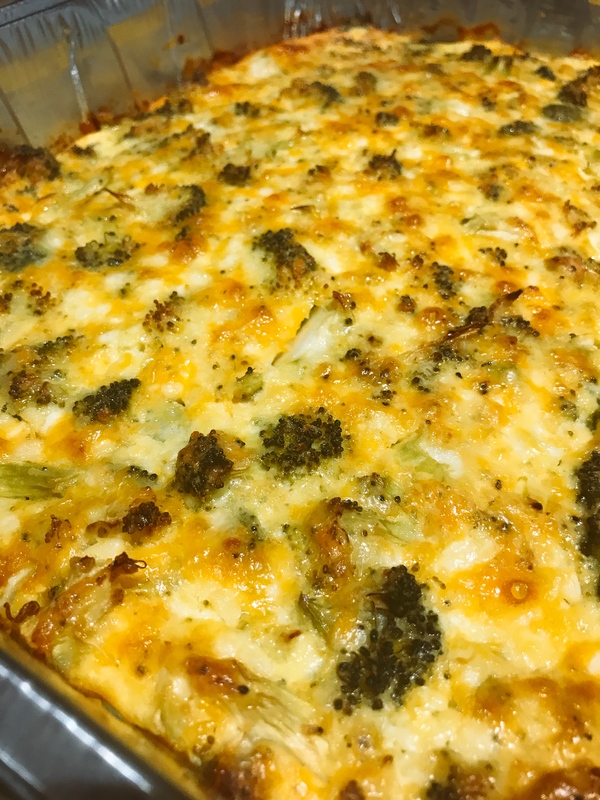 I found I needed to add 2 more cups of chicken stock to cover the veggies (I didn&apos;t measure the broccoli) but the texture was still nice and thick once I added the cheese. 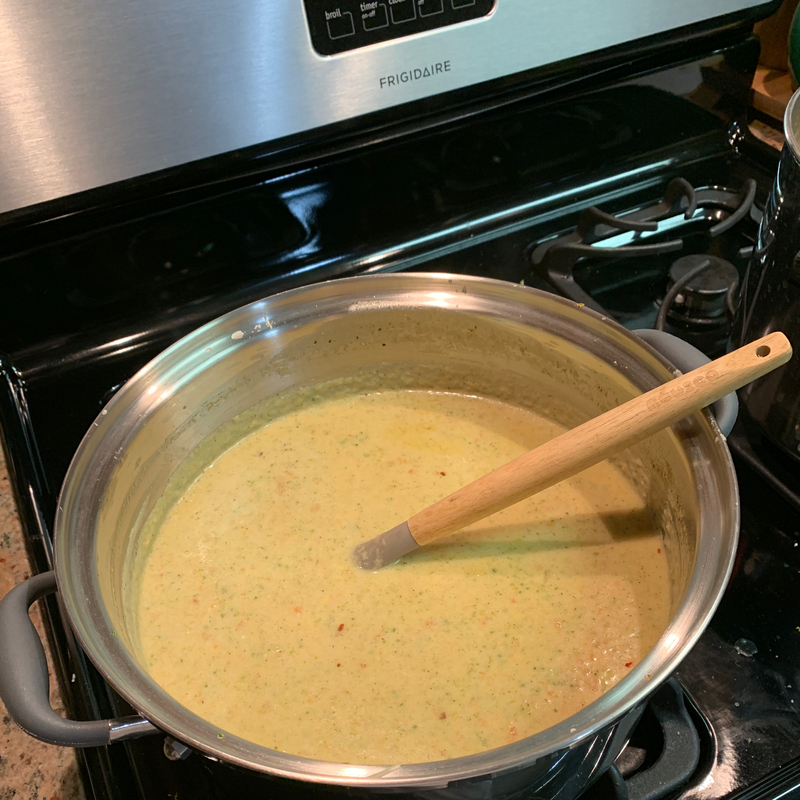 It was just blander then I was expecting; I added a tsp or two of garlic salt and a healthy dash of crushed red pepper to add a bit more depth. 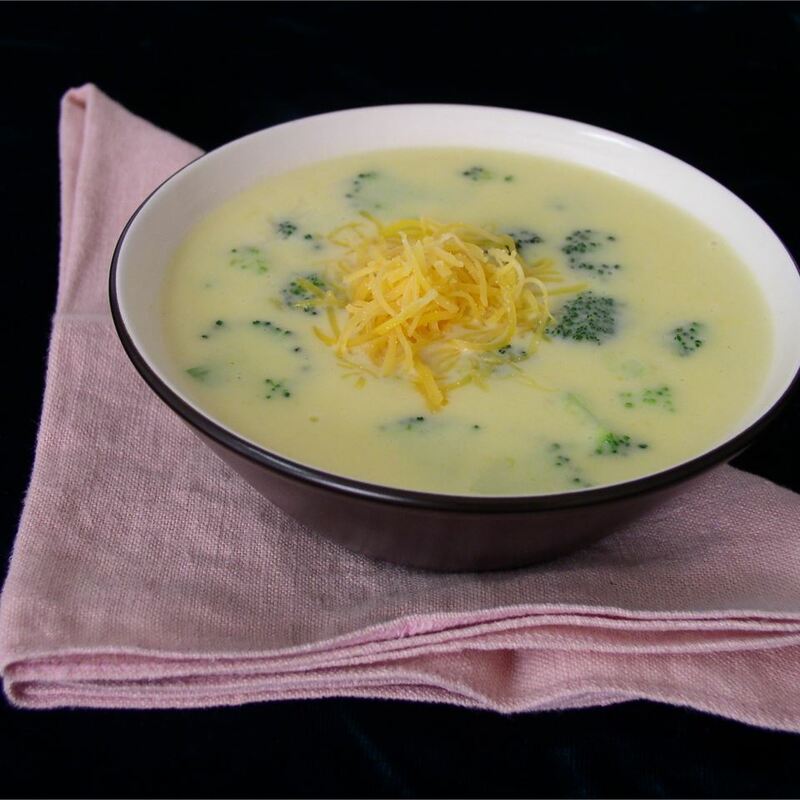 I think I agree w/the other reviewer from today who prefers another broccoli cheese soup recipe from this site. THANKS for the recipe!